Tommy Lee Jones- Age 78, August 16, 2018. Preceded in death by his parents, Clara and Lee Jones; brothers, Ray Jones and Cleveland Jones; sisters, Elizabeth Fisher and Peggy Inman. He is survived by his wife, Judy Jones; son, Wayne Jones (Shannon); step-son, Scotty Johnson; grandchildren, Bailey Jones, Jordan Jones and Kendyll Johnson; sister, Fay Walker; also survived by many nieces and nephews. Pallbearers will be Patrick Dalton, Jerry Wayne Jones “Beep”, Donny Cunningham, Marlon Cunningham, Brandon Jones and Jonathan Jones. Visitation will be 5-8 p.m. on Saturday, August 18, 2018 and 1-2 p.m. on Sunday at Harpeth Hills Funeral Home. 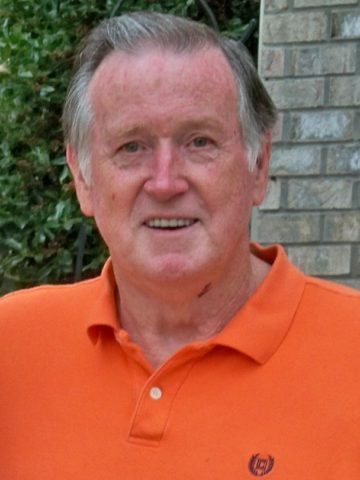 A Celebration of Life Service will be at 2 p.m. on Sunday at Harpeth Hills Funeral Home. Interment will follow at Jane Jones Cemetery in Fairview, TN. Judy and family. You have my deepest sympathy in your loss. Many prayers for comfort and peace. We love you! So sorry for your loss. It’s never easy losing a parent.